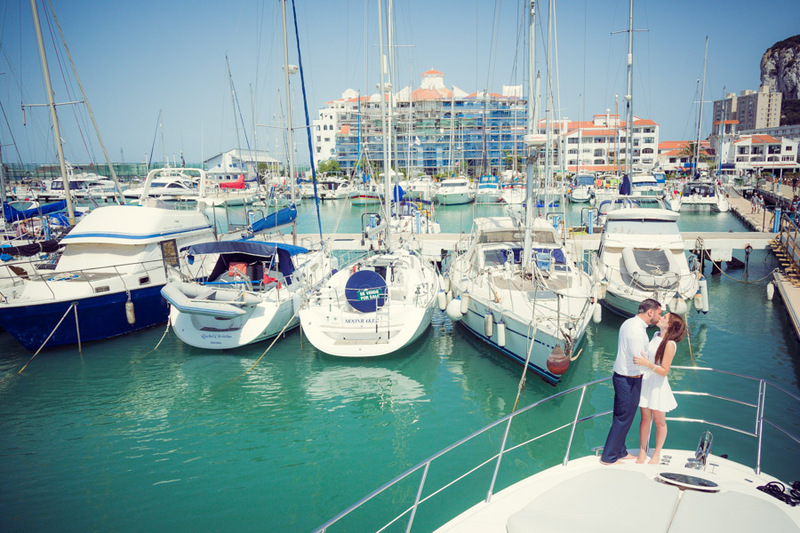 Small intimate weddings in Gibraltar! We’ve chartered a motor yacht for a combined wedding / reception. Our clients departed at 12noon from Marbella, snacks and cava onboard, of course! Arrival in Gibraltar approx 3pm where a transport was waiting to take them to the Alameda gardens. The ceremony took place at 4pm with the reception back onboard until 7pm with the arrival in Marbella. A very enjoyable way to arrive in Gibraltar. If you want the transport into Gibraltar more enjoyable, or want to make use of the water around us, you might want to look into this option. Not terribly expensive, but unique and memorable.